Let us help you build the platform for your businesses future. What is the Sales Cloud? Spending money on marketing but can't track your leads? Lead management will ensure that the money your business spends on marketing doesn't go to waste. Track, Convert and Re-Engage dead leads leads easily in one system. We will help you build a lead management process in Salesforce that will turn more of your hard earned leads turn into sales opportunities. Track your sales opportunities from any device, anywhere in the world. Log activity and interactions with your clients automatically the clients file. 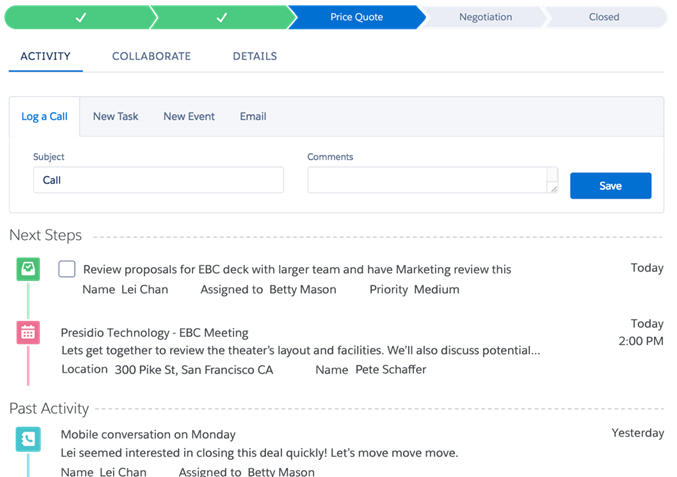 View the current status of a Sales Opportunity. 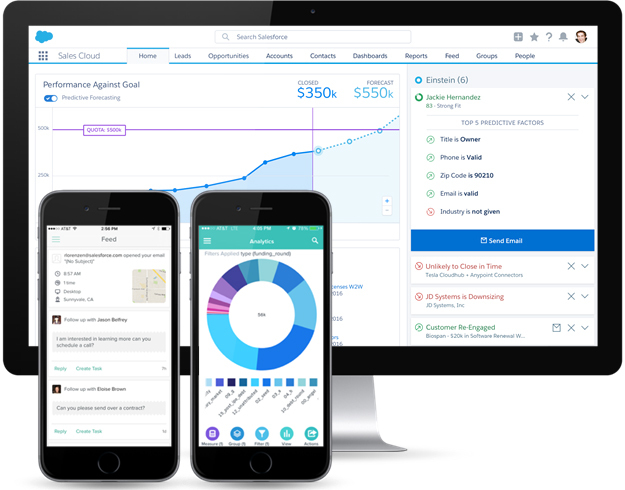 All this is possible with the Salesforce Sales Cloud. 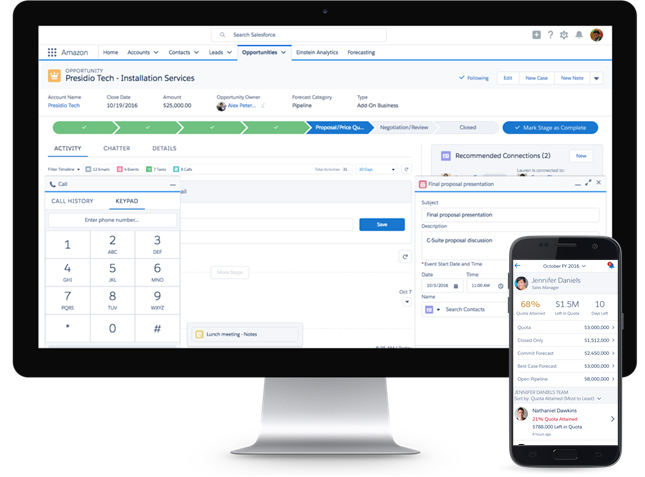 Our team will work with you every step of the way to construct your businesses sales process directly into the Salesforce CRM Integration for maximum efficiency. Sick and tired of repeating the same tasks over and over again in your current system? It's no secret - businesses that are turning to automation to solve problems have more time to focus on the end client. Is your business a part of this trend or are you falling behind with repeat data entry tasks? 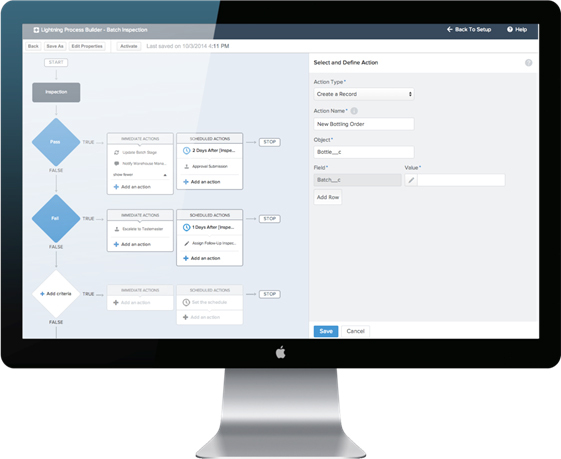 We can build automation processes in Salesforce to help save your staff valuable time. Spend more time closing deals, not entering them! Find out how we can help you plan the future of your business. Salesforce CRM Training & Salesforce CRM Integration experts.